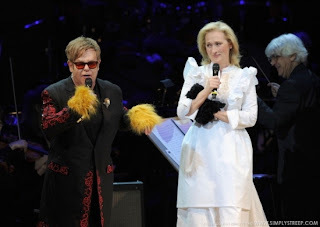 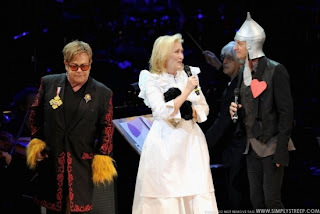 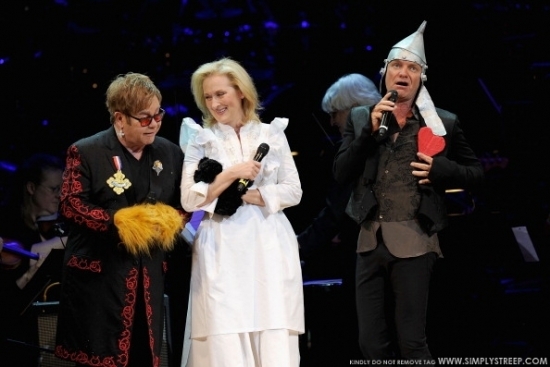 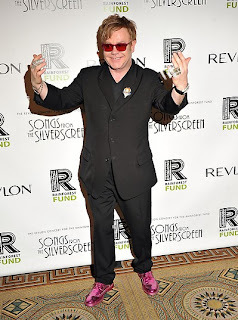 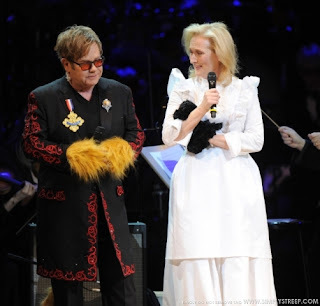 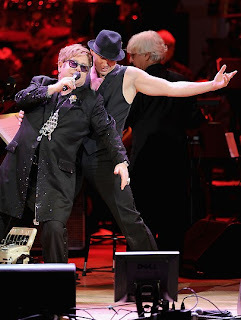 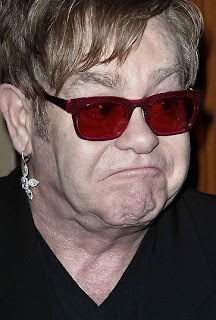 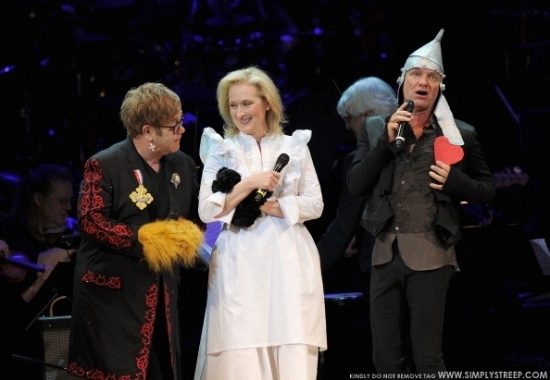 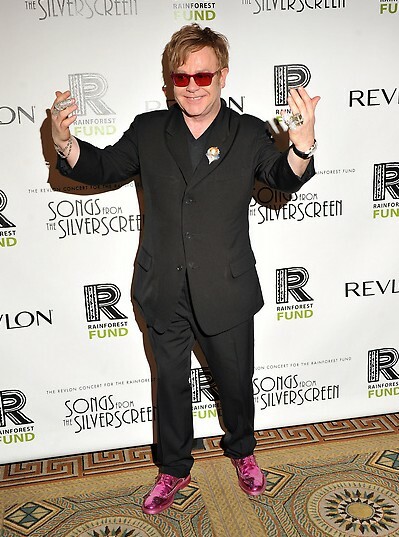 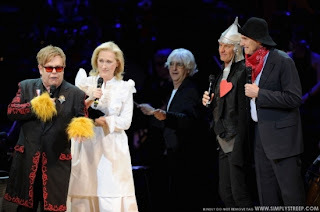 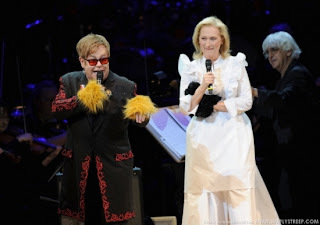 Meryl Streep j4has oined Elton John, Sting and James Taylor for their own special version of The Wizard of Oz at a benefit concert to raise funds for rainforest communities in Central and South America, yesterday. Sting’s wife, Trudie Styler, produced the all-star fund-raiser with the theme Songs from the Silver Screen for The Rainforest Foundation US at New York’s Carnegie Hall. 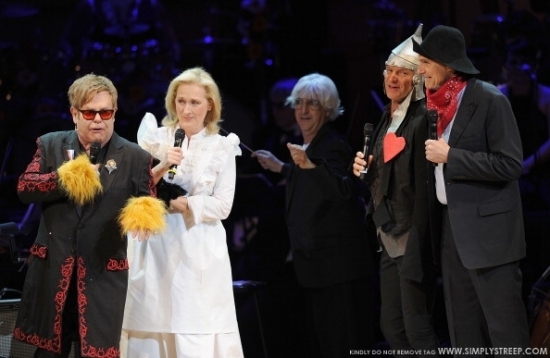 Sting had a surprise hit with the dark theme from comedy series M*A*S*H, Suicide is Painless, while Streep sang When You Wish Upon A Star. 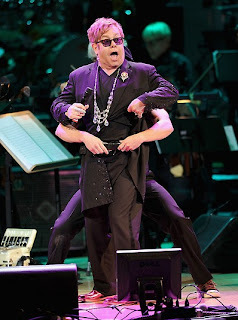 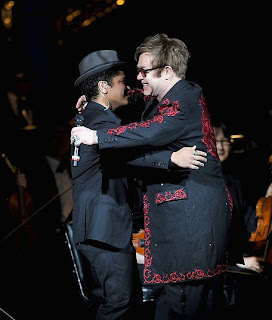 Over 100 pictures from the concert have been added to the image library. 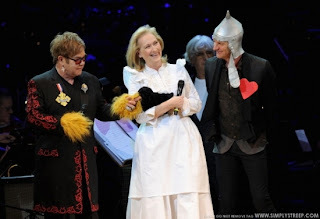 Also, there is some speculation at this time that Meryl is in talks to join Stephen Sondheim’s production of “Into the Woods”, playing the Delacorte this summer. 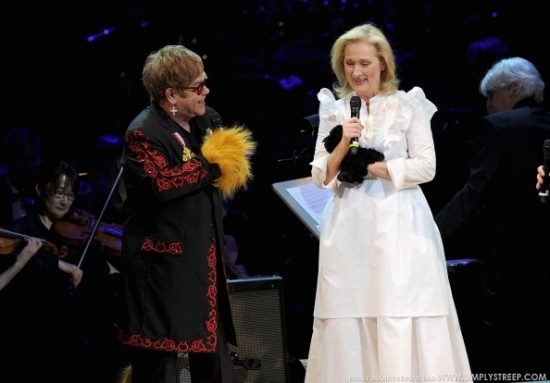 Not long ago, a British newspaper interview with Sondheim mentioned that Meryl was a rumored possibility to portray the Witch in the revival. 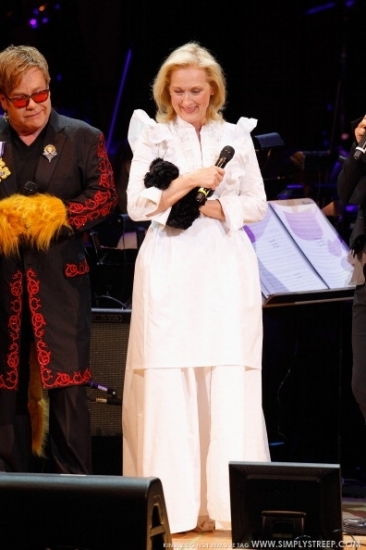 Sondheim didn’t confirm or deny the buzz, but interestingly said, “We will see. 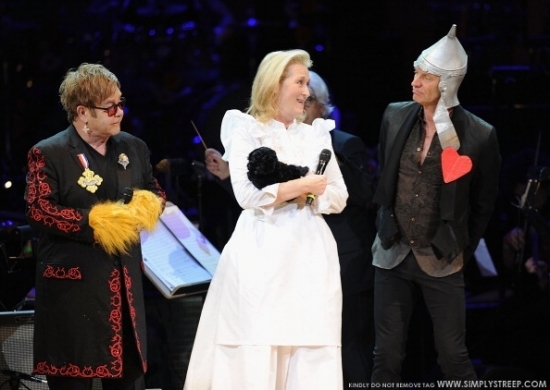 I think she’d be great.” That set excited little heads spinning all around town. 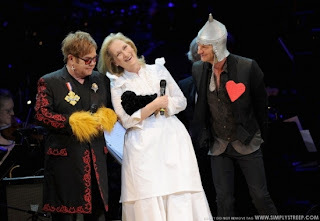 Meanwhile, a good friend of Meryl was just cast. 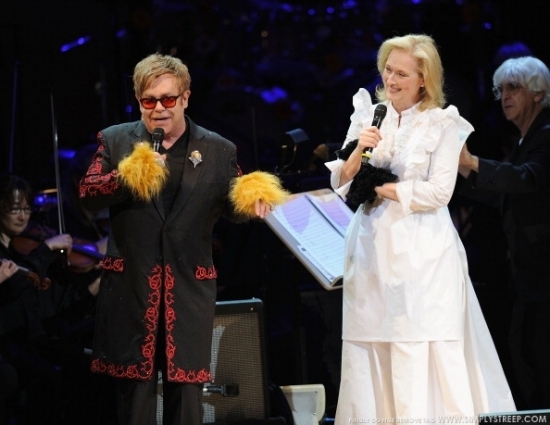 Amy Adams – who costarred with the multi-Oscar winner in Doubt and Julie and Julia – is going to play the Baker’s Wife. 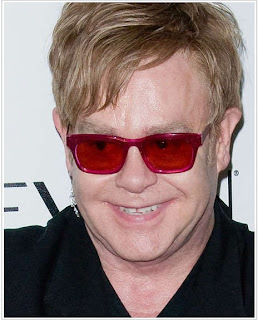 Thanks to Glenn for the heads-up!